We have all been shocked by the violence in Paris recently. Extremists using religion to get their barbaric kicks is not something that benefits mankind. We must not forget that Western powers are daily slaughtering innocent people in Middle Eastern countries so for the sake of peace all violence must stop. 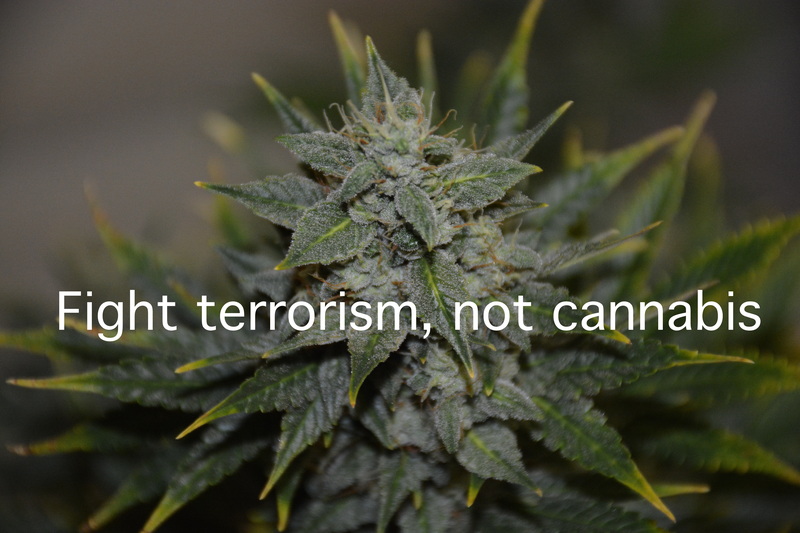 That being said, and this being a pot activist website, how does terrorism and cannabis collide? Arnold Plickert, the vice-president of the German police union has recently said that police should not have to deal with cannabis possession cases. Police have real work to do, like helping to protect the public from serious crime and terrorism. As the new year rumbles along, we are getting new scientific knowledge of cannabis and guess what, cannabis is proving to be an incredibly healthy plant for humans. Germans are known to be practical people, Arnold Plickert has said out loud what most European police think privately. Cannabis is not a threat to society, and its prohibition is a distraction from real police work. This is going to be a big year for cannabis legalization, America has paved the way for Europe to now play catch up. Colorado has had a year of legal cannabis and there are no negative effects on society. Drug cartels are losing money, conservative Christians have more sinners to pray for and all is right with the world (of cannabis, at least in Colorado). We need more Arnold Plickerts speaking up. The madness of cannabis prohibition has to stop. Alcohol is an incredibly dangerous drug when compared to marijuana so it is time to drop the theatrics. Society got it wrong on cannabis, it is important if we are to call ourselves civilized, that we recognize our mistakes and move to correct them as quickly as possible. For European cannabis legalization Germany is key. We need them to come out with some common sense to dispel the nonsense surrounding the cannabis debate. 2015 is going to be huge for the movement. American gains will be expanded and meek European leadership can be emboldened by positive scientific data. It is up to each of us to be as informed as possible and to get vocal.